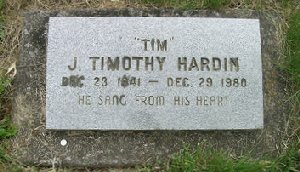 To write about Tim Hardin is to take great risks. When a man becomes famous, he has the opportunity to set records straight or to build up some kind of mythology. When a man takes to a life of dependency, there is a greater likelihood that the fantasies of his addictions and the indulgences of those who benefited most from his talents will create an exaggerated picture of his life. What follows is, I trust, as accurate a biography as I can make it. I have based it largely on the wonderfully detailed sleeve notes, contained in CD covers, written by Colin Escott. 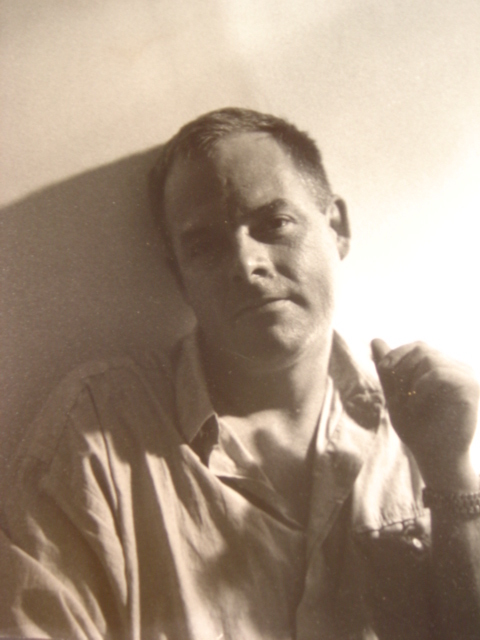 All fans of Tim Hardin should be grateful to Colin for the effort he has put in to building an accurate picture of this brilliant songwriter and performer. Tim was born in Eugene, Oregon, USA on Tuesday, 23 December 1941. He was not a descendent of the outlaw John Wesley Hardin, as has been written about him in many biographies (and as he happily suggested himself). His parents, Hal and Molly, both had musical backgrounds, his mother having been a professional classical musician. Little has been written about his childhood, but it would seem that he didnt have the best of times. He was dismissive of his father and referred to his home life as being like a prison. He had no great interest in school and he dropped out without graduating at the age of 18, choosing to join the US Marines. This is something that seems a massive contradiction for a slight lad who enjoyed acting. He did, however, show an enthusiasm for music and one of his friends from that time refers to the evening when he sat down at a piano, played some, then said, "Ive got the music in me. Ive got the music in me." After that spell in the Marines, where it is likely that he expanded the taste for heroin developed as a teenager, he returned briefly to Eugene, before moving to New York in 1961. The American Academy of Dramatic Art didnt work out, it being too much like school, and after some time developing his musical skills and an interest in performing around Greenwich Village, Tim moved to Boston. There, his performing got him noticed and he was invited to work with up-coming producer Erik Jacobsen. Initial thoughts on musical direction were quickly disavowed when Jacobsen heard him play and an audition was set up with Columbia Records. The demos that made up this session were not considered suitable  or perhaps Columbia realised that they couldnt handle Tims wayward lifestyle  so his contract lasted no more than a year and in that time, no album was released. Oddly enough, those "unsuitable" recordings surfaced some years later as Tim Hardin IV and This Is Tim Hardin. A move to Los Angeles in 1965 resulted in him meeting an actress from a TV show called "The Young Marrieds". Professionally she was known as Susan Yardley, but her actual name was Susan Yardley Morss. His romance, marriage and life with her form the basis for many of the songs that were to follow. He adapted her name slightly for his songs to Susan Moore, although she wasnt from Baltimore, but from Vermont and New Jersey. However her father did, in a sense, live the law, being a prosecutor back home. Tims previous relationships would suggest that he was there to steal her money  to feed his addiction  but, moving back to New York, he did fall in love with the lady. By 1966, Tim was signed to Verve Forecast and had produced his first album, a mixture of initial demo material and new recordings. The development of his style from those original blues songs of the Columbia demos to the higher production standards of this first Verve album show an interesting evolution. Indeed, Artie Butlers strings on his first single, Hang On to a Dream, rely heavily on the work being done by George Martin with the Beatles, although it would seem that Tim was less than happy with their appearance. Tims vocals show a wide range of influences and demonstrate his ability to handle blues, country, rock, jazz and ballad. Tim and Susan were living in Los Angeles when his first album was released and it was there that their son, Damion, was born on 28 February 1967. Using a studio set up in his house, Tim recorded tracks for his second album, sending the tapes back to New York. This time round, the backing tracks were more sympathetically added and as a result it was a more rounded, balanced piece of work. The second albums release prompted Bobby Darin to record If I Were a Carpenter. It was a massive hit, although Tim was said to be deeply unhappy with it. His first hearing prompted him to stop his car, get out and start stamping on the ground in rage. Tim later denied this story, saying that he had no problems with Darin's version of the song or its release before his version. What Tim failed to do was capitalise on Darins success. He developed stage fright and proved to be a most unreliable performer, either arranging gigs, then not turning up or appearing when he was in no condition to go on stage. If he had toured the second album, he could have built up a significant fan base. Instead, one of the most talented singer-songwriters of the sixties was on a pattern of self-destruction. One of his biggest chances for international recognition was when he was asked to open Woodstock. The festival was originally planned as a two-day event, but in the later stages this was increased to three days, with the addition of a number of acoustic acts on the Friday evening. Tim's fear of facing an audience without the support of chemicals led to him being in no state to go on, so Richie Havens was bumped up to become first act on. Although clearly stoned, Tim did perform later on the Friday, but nothing of his show made it onto the original film. His performance of If I Were a Carpenter made it onto a three part television series about Woodstock in 2002, issued on DVD as Woodstock Diaries. He went to live out in Hawaii for a spell, then came back to San Francisco, Los Angeles, then Colorado, supposedly to raise horses. Erik Jacobsen dumped him and it was only after Steve Paul, his new manager, financed a band of jazz musicians to work with him on a live album (Tim Hardin 3) that things came together. The musicians were clearly accomplished and worked well with Tims style of music. Indeed, they went on to form the group Jeremy and the Satyrs, making albums and operating as backing musicians for other artists, including Richie Havens. The success of the City Hall live recording and a desire for the less secluded life led to a move to Woodstock, living on the other side of town from Bob Dylan. A tour of Britain had to be cancelled, the blame for this being placed on pleurisy, and shortly after, his contract with Verve was terminated. Columbia took another chance with him and a start was made on the Suite for Susan Moore album. Tim had a revolutionary way of making this album. He arranged for recording equipment to be placed in a spare bedroom of his home. He brought in a variety of local musicians and recorded the album over a period of a fortnight. The producer (Larry Klein) and recording engineer (Don Puluse) stayed at an hotel around 20 miles away and came over to the house on a regular basis to make the recordings. Susan would cater for the Columbia people and the musicians, providing meals and coffees. Tim seemed very happy and comfortable during this period and, although rather hyper, he was in a good frame of mind. Tim had the most incredible sense of both pitch and time. This meant that he could sing one segment of a song and commit it to tape, then a day or two later  perhaps after a binge on alcohol or methadone  he would sing the rest of the song. The two parts would match up perfectly in the edit. The resulting album was wonderful. As a thematic piece of work, it is perhaps the most personal and self-analysing recording ever made. Love for his family and exasperation at his own helplessness ooze from every note, word, nuance and inflection. This album, above all, was Tim Hardins masterpiece. At the height of the heroin addiction, Susan took Damion and left Woodstock for LA. Tim continued to live in Woodstock for a while, writing fragments of songs, but clearly missing the person who was his inspiration. Other relationships flourished for short spells, but he had dried up as a songwriter. He still had a wonderful voice, though, full of expressiveness and longing, with phrasing that other singers could kill for. Thus, when it came to the second Columbia album, although there were only six self-penned pieces, there were other numbers that could easily have been written with Tim in mind. The producer, Ed Freeman, operated in a way that was completely complementary to Tims approach. The backing tracks were produced in a way that allowed him free rein and musicians were rarely ever in the studio at the same time as him  his level of reliability being acknowledged and accepted. Tim had moved beyond the regular concept of what a song should be, having moved towards a freer form that was a combination of classical explorations of a theme, with jazz intonations. A further change in management and a move to London, where, as a registered addict, Tim could get free methadone, led to the final Columbia album, Painted Head. There were no original songs and the album was somewhat heavy-handed in its production. What I originally put down to a possible speech defect, which added a certain charm to the Hardin sound, was obviously a breathlessness, caused by his smoking-related chest problems. Despite this, the album produced some of his finest performances, all appropriate to Tims musical style and perceived personality. That saw the end of the CBS years and a move to the GM label, where the album Nine was made. GM was owned by Billy Gaff, Rod Stewarts manager, and this deal may have been a kindly act of repayment for the success Rod had achieved with Reason To Believe. The album was well produced and had some extraordinarily accomplished vocals on it. The feature track, Shiloh Town, although credited to Tim, had been recorded by Richie Havens some ten years before (as Shadow Town) and was a traditional piece. Susan got back with Tim for a short spell in the UK, but his drug abuse and drinking were beyond any tolerable level. He teamed up with another expatriate, Tim Rose, whose career had been much more successful in Europe than in his home country, and the pair did a spot of touring. They performed at around a dozen gigs, but the project was unsuccessful, again due to Tim Hardins dependency. In speaking to Tim Rose many years later, he was quite circumspect about his experiences, but I always found that he would never say a bad word about those he had worked with. He merely referred to them as "difficult times". By 1976, it was back to the States and living in Seattle. There, he seemed to clean himself up, staying clear of the drugs and booze. A move to Los Angeles allowed him to be near Susan and Damion again, his Hollywood apartment being just a short distance from Damions school. He had put on weight (200 pounds) and lost his hair, but his voice was strong and mature. It was there that Phil Freeman, an old school friend, met up with him and persuaded him to take the trip to Eugene to record a TV documentary and a concert. The latter led to the release of the Homecoming Concert album in which much of his early material is viewed in a different light. His relaxed manner with the audience and the accomplished readings of his songs make it all the more sad to note what followed. Tim worked on in Los Angeles, meeting up again with Erik Jacobsen and working with Don Rubin. However, a reformed addict should never return to the circumstances that led to or provoked his problem. Back in the recording studio and creating music, Tim returned to the heroin that had wrecked his life. His contacts with Susan caused her further pain, especially when he used threats of suicide as a way of forcing her to meet with him. She took Damion and moved on, yet again, to be away from Tim. He died of a heroin/morphine overdose in his apartment at 625 Orange Drive, Hollywood, on Monday 29 December 1980, having just turned 39. He had been living there for some time with his partner, Janet. It is probable that he miscalculated on the dosage, as Tim Buckley is said to have done, having been clean for a spell. That he didnt fit the system is clear. That the system swallowed up his unique talent and ignored his true needs is also clear. The music business owes Tim Hardin a massive debt and we fans of his music need to acknowledge that our pleasures in listening to him over the years were at a massive personal cost to him. Before his death, in the video made by Phil Freeman, Tim spoke of his feelings of having been ripped off by his managers. He reckoned he had earned some $22 million in his time, but had been left with nothing. He suggested that his manager had sold off the rights to his songs against his wishes, threatening him with IRS extradition from England. He did, however, acknowledge that the deal had ensured financial security for Susan and Damion. Although he had given up heroin for a spell, there was no doubt that he was not enjoying the withdrawal and he fully anticipated returning to it. He spoke of the pleasure he got from addictive drugs, while stressing that he would never encourage anyone else to take up the habit. He appeared to acknowledge that the damage was there before the drugs took over. The first half of his career and those songs written in a room of Lenny Bruces home in the early sixties remain the dominant aspect of Tims life to most people. As a result, he is known by many as simply the songwriter who wrote hits for Bobby Darin, the Four Tops and Rod Stewart. 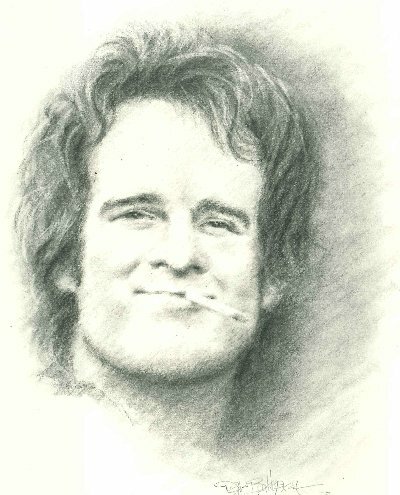 To me, Tim Hardin was a wonderful vocalist, incorporating varied styles into his voice. He was the best interpreter of his own songs and he had an immense skill of taking other peoples songs and personalising them into the myths that his character had become. There are few singers of any generation who are capable of singing of the pain of love (for wife and family) in a way that is so expressive and so wrenchingly beautiful. Many people write to ask how Susan and Damion are. Please remember that I live in the UK and have no direct connection with Tim's family or his record labels. However, I can report that both are well. Susan occasionally responds to postings on the discussion board at Yahoo Groups - http://launch.groups.yahoo.com/group/timhardin. This is a fascinating way to get to know all the fans of Tim who chat on a range of topics. Susan has written to me to say that she is happy with the content of this website, although ultimately, she would like to develop an official site. Damion is living in South Florida, where he has been involved in music, but his main focus is his day job in real estate. Over and above that, Damion is a talented artist and, for a while, he had a website to act as a showcase for his art. This no longer seems to be available, so I have put thumbnail versions of some of his work on my photos page. If you would like to purchase any of his work, contact me and I'll pass the information on.